Last week, I told you about a study that showed just how powerful coffee is at preserving your brain function. It's really quite amazing how good this drink is for your memory. But did you know there's one thing you can take with your coffee to make it work even better? It's true. The authors of this study looked at a lot of nutrient and lifestyle factors to see if anything could enhance coffee's brain-preserving attributes. Only one thing did — B-vitamins. Vitamins B12, B6, and folic acid to be specific. According to the authors, "We found that the protective association between higher caffeine intake and cognitive decline was more pronounced among those taking vitamin B supplementation." But how does it work? What is it about coffee that makes it preserve brain function better? The authors theorized that coffee has a direct protective effect on the brain and nervous system in general. They point out that coffee has already been shown to decrease the amount of brain lesions that occur with aging including increased white matter lesions and small vessel hemorrhages called microvascular ischemic lesions. Also, coffee may block the adenosine A2A receptors. That can slow down the damage caused by amyloid-beta, the toxic peptide that causes the amyloid plaques in the brains of patients with Alzheimer's. Several studies in mice that were bred to develop Alzheimer's have shown that caffeine actually reduces the amount of these plaques and improves memory. 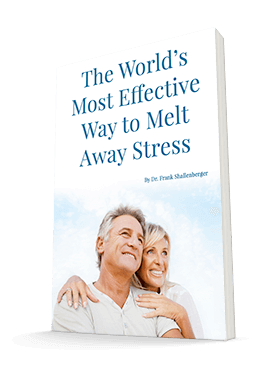 Another possible way it works might be through its effect on the hormone insulin. Coffee improves insulin sensitivity and thereby protects the brain from not being able to get enough of the glucose that it so desperately needs. 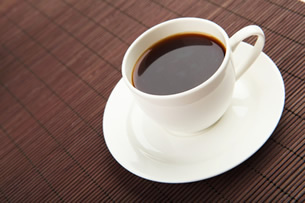 Coffee is also loaded with many other constituents such as polyphenols, which are protective of the nerves. Remember that taking caffeine outside of coffee didn't work. So clearly there is something else in coffee besides the caffeine that is at work. But what about side effects? Lots of people insist that coffee is bad for you. It's acidic. It's a diuretic. It transiently raises your cholesterol. It increases your heart rate. Surely there must have been side effects. Not so fast. A recent study published in the American Journal of Clinical Nutrition looked at 11,697 nurses. Many of them drank in excess of four cups per day. They followed the nurses for 24 years. The authors noted that in all these women over all that time, how much coffee they drank did not affect their health or death rate one bit. So here's the plan. If you love coffee, then enjoy the fact that it is probably one of the few things that you love that is actually really good for you. If you don't love it, maybe you can find a way to because even those people who drank one to two cups per day showed an improvement over those who drank none. Just be sure to get organic coffee. You don't need all the contamination of non-organic coffee. And make sure to take it with a scoop of my Super Immune QuickStart mixed in a separate glass of juice or water. QuickStart is loaded with the B-vitamins that work so well with coffee. Vercambre MN, Berr C, Ritchie K, Kang JH. Caffeine and cognitive decline in elderly women at high vascular risk. J Alzheimer's Dis. 2013;35(2):413-21. Lopez-Garcia E, Rodriguez-Artalejo F, Li TY, Mukamal KJ, Hu FB, van Dam RM. Coffee consumption and mortality in women with cardiovasculardisease. The American Journal of Clinical Nutrition. 2011; 94:218–224. [PubMed: 21562090].